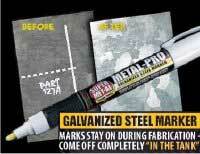 Home > Galvanizing Pens/Paints > Metal Pro paint marker for galvanized steel. Comes off in the tank. 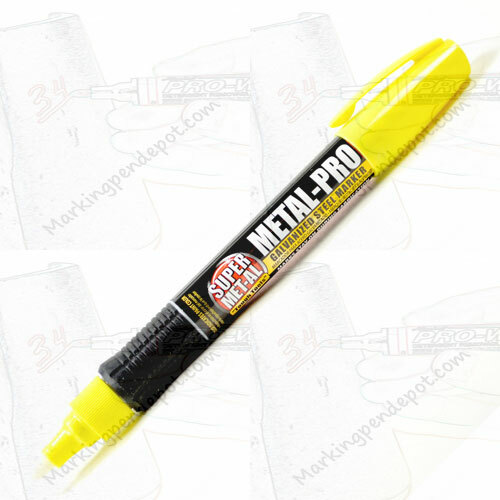 Metal Pro paint marker for galvanized steel. Comes off in the tank. METAL-PRO Galvanized Steel marker. Comes off in the tank during cleaning yet permanent during fabrication. If you're a plater specify these markers to your customers and stop grinding off marks.